From OE replacement to competition shifters, Hurst has you covered. For performance driving, Hurst's durable, precision-engineered automatic and manual shifters can't be beat, and with a full line of shift knobs, and accessories for both daily drivers and dedicated racers, your search for an auto or stick shift transmission shifter begins and ends with Hurst. An installation set required when purchasing a Hurst Competition Plus for Muncie (69 or later) transmissions. Note: Discount exempt. Original Hurst Classic design 1-3/4" white 6-speed shifter ball. This is the same ball that is included with Hurst shifter 3916030. It can be used in other 6-speed applications that use a 3/8"-16 threaded shifter ball. 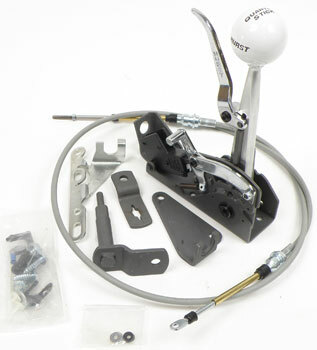 Designed for large hole shifter installations, the Hurst Super Boot and Plate is for use with Competition/Plus Shifters. 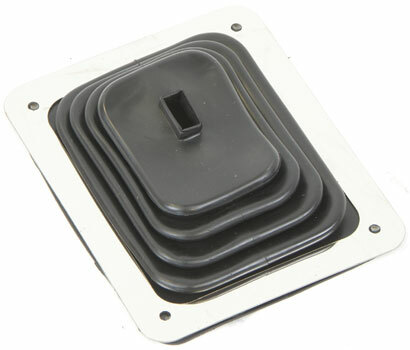 Measures 7-3/4" x 8-3/4", and comes complete with boot, chrome ID plate and all mounting hardware. The Hurst Competition Knob features a heavy-duty, quick release 12 volt normally open switch with 24" long wire lead. 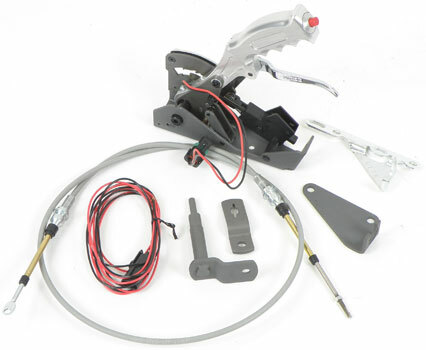 Ideal for use with Roll/Control, trans brake, nitrous or other 12 volt accessories. Classic Hurst Shifter Knob is made of high-gloss, high-strength design and is engraved with an inlaid shift pattern. Knob is 1-3/4" diameter with a 3/8"-16 molded-in brass thread insert. Includes jam nut.